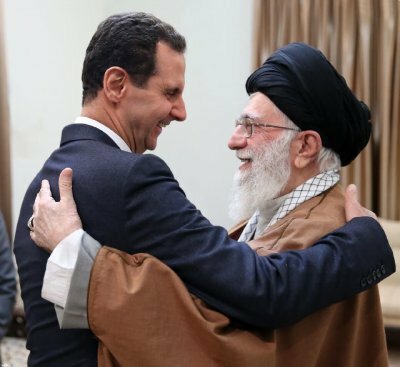 Ali Khamenei Waltzes with al-Assad,undermining Mohammad-Javad Zarif. Is the bicephalous octopus,the theocracy and the military, trying to hog the limelight? The Second Phase is the political blueprint of Khamenei for the future. Iranians have to await a regime overthrow for economic and political change. How? Since 1979, the dual-national Iranian diaspora with blind nationalism has become the supporter of the theocratic gerontocracy, fortifying the dictatorship. Hassan Rouhani, the failed president of the bankrupt Iran, visited Switzerland to beg saving JCPOA. No water or electricity, poverty are the theocracy’s outcome. The legitimacy of the theocracy is lost, but the #IranProtests have yet to engage in building a unified nation devising a new legitimate authority. 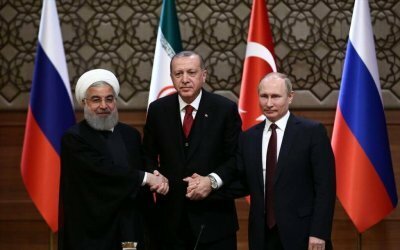 Cacophony in Nezam Eslami: Militarist,firm and polished is the dream of a phoney president away from domestic cacophony and paralysis. 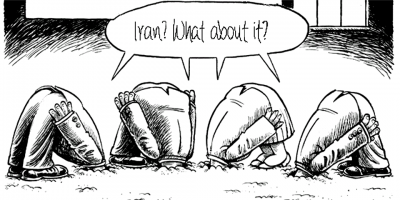 In Iran all is politics and the politics are as foul as its polluted and dried rivers. Being apolitical equals to gullibleness as Kaveh Madani found out. 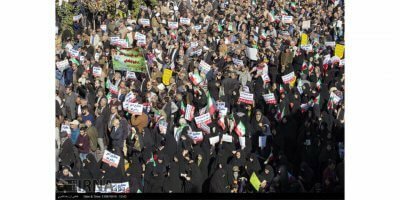 IRAN PROTESTS: When it comes to social unrest, watch the wolves. The enemy of your enemy is NOT your friend. The lust for power sharpens the appetites.